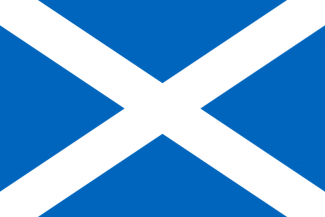 Scotland is a nation in the northern half of United Kingdom. They are not independent at the start of the game and one must release them from the United Kingdom in order to play them. To do this one must choose the UK and then release Scotland by going to the politics screen. Scotland has a very small population of only a few hundred thousand. Scotlands main resource is coal. It has lots of coal. This is ideal for building cement and glass factories. However one will need to use your only national focus on encouraging craftsmen to get workers in them new factories. At the start of the game it is very easy for Scotland to become 4th or 5th in industrial score. There is also the sulphur resource in the north of Scotland and the sheep resource to the east. Scotland will have a small military because of its pop so take on small nations at the start. Denmark and Morocco are good as they are weak and you can get a bit of prestige. One can take some regions off them. It is vital for Scotland that it keeps good relations with Great Britain. They are a threat anywhere in the world, but especially in their own backyard. Scotland starts with the same techs as United Kingdom and a well educated population. It is not hard to get a lot of prestige from techs. This page was last edited on 29 June 2018, at 12:49.